Last week, the Washington Redskins showed a willingness to overcome a barrage of injuries and play with such heart and grittiness that propelled them into victory in one of the most hostile environments in the NFL. This week has started off a bit healthier and are playing at home, which unfortunately is not saying much as it appears opposing teams have no problem making noise at FedEx Field. Either way, the Redskins will have to channel last week’s effort in order to pass through the Minnesota Vikings. Offensively, the Vikings and Redskins are similarly ranked but the big outlier is the defensive rankings. The Vikings have one of the top defenses in the league, both with their front seven and their secondary. This is purely based on stats and doesn’t take into consideration the Strength of Schedule. 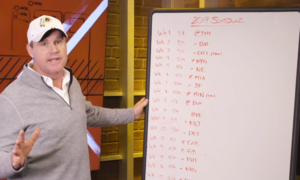 In the last four weeks, the Vikings faced the Chicago Bears, Green Bay Packers (missing Aaron Rodgers for the majority of the game), Baltimore Ravens and the Cleveland Browns, not a real tough stretch. The Redskins on the other hand have faced the San Francisco 49ers (okay, bad comparison), Philadelphia Eagles, Dallas Cowboys and the Seattle Seahawks, quite the difference. 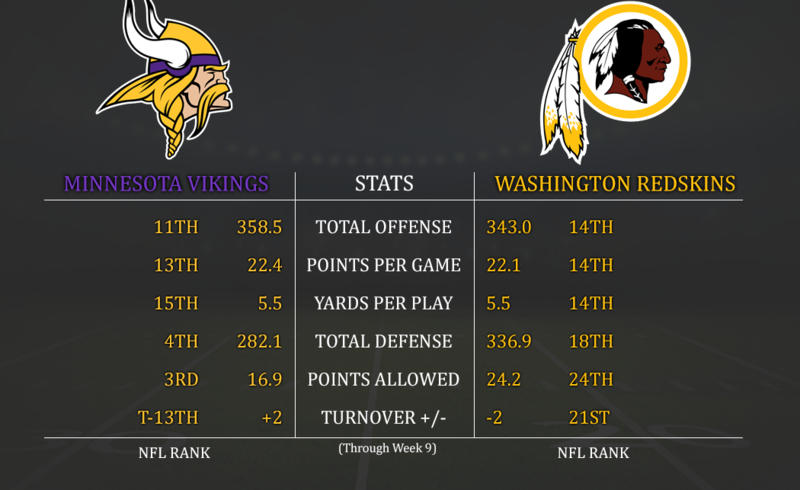 Even though stat wise on the defense there’s a large gap, the Redskins have been playing great defensively and matchup well against Case Keenum and the Vikings. 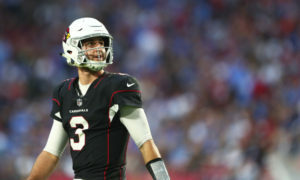 Hooray – Not A Mobile QB! For the past several games the Redskins have been matchup against mobile quarterbacks who were able to extend plays and tire out the defense. 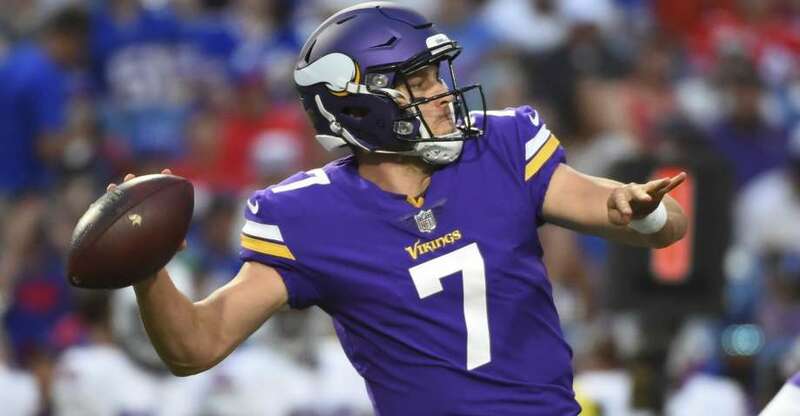 Fortunately this week, Vikings quarterback Case Keenum is much more of a pocket passer and not necessarily known for his ability to gash defenses with his feet. He’s been efficient enough to keep the offense going but still lacks decisiveness and can be rattled when pressure collapses the pocket. In order to bring the pressure, the Redskins will have to get through the Vikings revamped offensive line. Last season they were one of the worst pass-blocking lines, ranked 23rd, but now currently ranked 15th, according to PFF. Although it is an improvement due in part to signing tackle Riley Reiff and drafting center Pat Elflein, they are still average at best. It’s a more cohesive unit then the Seattle Seahawks but the way Ziggy Hood has eaten up the middle and taking on double teams, the Redskins should be able to bring pressure all game. But without their biggest offensive weapon, rookie Dalvin Cook, they’ve become more one dimensional, similar to the Redskins offense. Latavius Murray has taken the lead role as the primary running back but hasn’t done much outside of the Ravens game where he rushed for 113 yards. In the other 4 games, he’s averaged only 29.8 yards per game. However, their rushing attack is a double head monster and Jerick McKinnon has been the better running back. Jerick McKinnon has a huge run against the Houston Texans. Defensively, the Redskins should be able to handle Murray and McKinnon. Zach Brown has been able to shut down running backs all season. He’s just about as quick as any running back in the league and rarely has he missed a tackle. While Ryan Kerrigan and Preston Smith disrupt the edges, Brown and Will Compton will be able to take down any ball carrier that tries to run through them. In the passing game, the two receivers that pose the biggest threats are Stefon Diggs and Adam Thielen. Between the two of them, they have a total of 1,049 yards receiving yards and 5 touchdowns. Although they’ve been dangerous in the passing game, going up against Josh Norman and Bashaud Breeland will be extremely difficult. Breeland has been full participant at practice so he will be ready to play Sunday. Norman has been a shutdown corner since he came to Washington last season and shouldn’t have a difficult time covering either Diggs or Thielen, depending on who lines up on his side. Then there’s Kendall Fuller who already has three interceptions this season has been an great nickel corner. His knack for reading the quarterback and cutting off the receivers route has been astonishing and Keenum has stared down his receivers a few times already. This could be costly going against the Redskins secondary. Last week, DeAngelo Hall suited up for the first time since Week 3 of last season and quickly made an impact. He played in every snap of the defense and was able to knock the ball out on the hail mary at the end of the game. Having DJ Swearinger in the backfield with Hall worked well and if Hall does need a rest, rookie Montae Nicholson should be healthy to take some snaps. He’s become one of the most vital rookies on the team. The biggest threat, as always, will be tight end Kyle Rudolph. Even after eight games, tight ends have been the bane of the Redskins defense and Rudolph is an above average receiver. Simply relying on Brown to cover him still hasn’t been effective but Anthony Lanier III played better in coverage. It will still be a tough matchup and Rudolph will most likely get in his receptions but limited his yards after the catch will be the primary focus for the linebackers. Defensively, the Redskins matchup better then last week against the Seahawks and if they play with the same ferocity and intelligence, Keenum will be sacked numerous times with a few turnovers. Last week the Redskins offense wasn’t perfect in any means but was able to overcome adversity when it mattered most; the final drive. In stellar back-to-back deep passes Kirk Cousins was able to move the ball 69-yards downfield in a mere 35 seconds to setup a 1-yard Rob Kelley touchdown run. Cousins saw pressure all game and despite being sacked 6 times, he stood strong in the pocket to make the completions. This week, he may be facing a very familiar situation. The Vikings defense is extremely stout on the front seven and have one of the best pass rushing attacks in the league. If the Redskins are able to get a few more starters on the offensive line, it may be the difference between a lost with a beaten down Cousins or a victory thanks to an aerial assault. Defensive end Everson Griffen already has 10 sacks and 2 forced fumbles on the season. His relentless and disruptive pass rush is often too much for tackles to handle and with Trent Williams still out, the Redskins will have to rely on Ty Nsekhe if he’s able to start this Sunday. Nsekhe was available in limited practice on Thursday and may be a game time decision. If he’s still unable to start then T.J. Clemmings will get the nod as starting left tackle. Last week, Clemmings allowed pressure several times and Griffen is more fierce than the Seahawks pass rush. As of Thursday practice, Griffen still hasn’t practiced due to a foot injury, something to keep an eye on as it gets closer to game day. Everson Griffen bullies his way past the left tackle and sacks Blake Bortles. The positive news though is that Shawn Lauvao, Brandon Scherff, and Spencer Long were all available to practice in a limited duration. This would be an enormous upgrade from last week and should provide Cousins more protection while passing. Backup center Chase Rouiller has played well if called upon but no matter who starts will have their hands full against nose tackle Linval Joseph. At 6′ 4″ and 323 pounds, Joseph demands a double team as he bullies his way in the trenches, opening up gaps allowing Anthony Barr and Eric Kendricks to rush the quarterback. Even though it’s not pretty, the short passing game may be the safest bet for the offense to set up an offensive rhythm. Chris Thompson didn’t see much action last week should be utilized in the screen game heavily to counteract the pressure. He’s still one of the best playmaker on the offense and has proven to gain a lot of yards after the catch. If done early, the secondary may start pressing more and playing closer to the line which may be able to open up more slants across the middle with Vernon Davis. Davis may be the safest bet as he will most likely be covered by linebackers who he should be able to beat one-on-one. As for the receivers, there will be a lot of tight windows that Cousins is going to have to throw into against this secondary. Similar to the Seahawks, the Vikings are a very tight group that can completely shut down a passing offense. 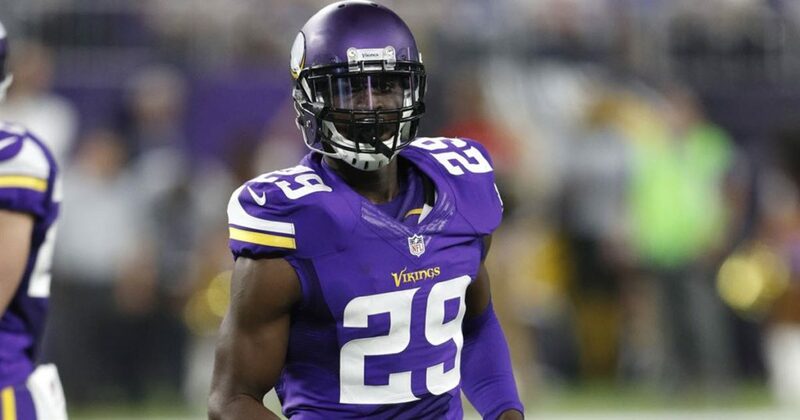 Xavier Rhodes is the leader of the Vikings secondary and has become one of the league’s best shutdown corner. Primary focus should be on Josh Doctson which means the other receivers will need to step up. Jamison Crowder is limited so far in practice but if he suits up, playing in the slot will still be a tough challenge lining up against Terence Newman. Although Newman is 39 years old, he is still playing well but has lost a step or two. If Crowder is healthy enough, he may be able to outmaneuver Newman just enough to have the inside of the route to make the catch. This leaves cornerback Trae Waynes to cover either Terrelle Pryor or Ryan Grant. Waynes has two interceptions with eight passes defended. He’s given up a few big plays this season and if the Redskins use an empty set, they could create their own mismatches and try to get Doctson free. Slowly Doctson is becoming a legit threat in the passing game and it will be a big test this week once again to see if he can come up with another big play. In the run game, there’s really not much hope for the Redskins. Between Kelley, Samaje Perine and Thompson, the run game has never been able to get on track. This will not be a game in which the run game will be effective. A few runs sprinkled throughout the game to see if something can break or to setup the play action is about all that they can hope for. The Vikings are only allowing an average of 81.4 yards per game rushing and they’ve gone up against a few tough backs. If the Redskins are going to put up points on the board, it will be because of Cousins arm. Perhaps there’s a chance for the goal line rush to get into the endzone but eclipsing over 100-yards rushing seems unfeasible. 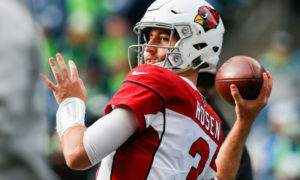 Sunday’s offensive game will look a lot like last week’s against the Seahawks; a stout defense where a few big plays and methodical passes will be the way to march down the field. The Vikings offense is not as dynamic as the Seahawks so the Redskins defense shouldn’t have too many issues minimizing their scoring drives. It will be a defensive battle and the team with the ball last will most likely be the one that comes out with the victory. Kirk Cousins vs…. Deshaun Watson? ?